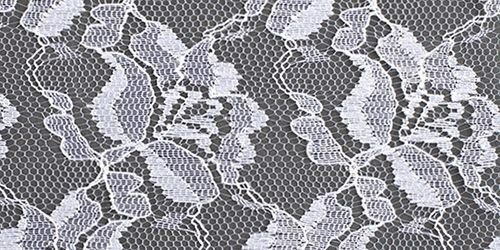 Our exquisite English Lace fabric is a romantic and delicate English lace fabric, which will add elegance and beauty to any project. 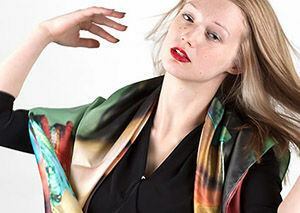 Design your lace fabric online with anything from artwork to bold patterns. A unique floral pattern with a distinct English lace fabric design, your new Flora Lace will make the perfect choice for a wide range of end uses; from wedding dresses and trimmings to home furnishings and applique. Lace fabrics are delicate, so we recommend careful hand washing only. Colors will remain after washing. Shape and dry flat. Do not steam iron. Low heat iron can be used in short bursts. Expect up to 10% shrinkage after first wash, allow this extra before cutting. 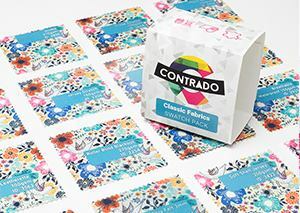 Create your own lace fabric online with Contrado. Your beautiful new custom made English lace fabric has its own unique personality, design and structure. Flora Lace is so distinct with its chic floral design, and we know it will be love at first sight. Flora Lace has its own bespoke qualities, which allows it to stand out from our other lace fabrics. It has such wonderful, feminine characteristics that we almost refer to it as a "she." With a shimmery face and a bright, stark white base tone. This warp knitted lace fabric is relatively stiff with a textured surface. Your new lace has a rather tight floral construct and is made with shimmering threads. This gives it a beautiful and lively personality. Details of your designs will appear more prominent on Flora than some of our other lace fabrics online. Bolder designs work best and colors will show through well on the reverse. 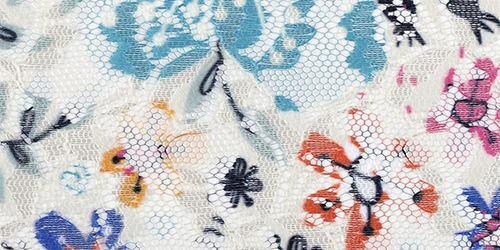 Lace is a dreamy fabric, which can add so much to a project. 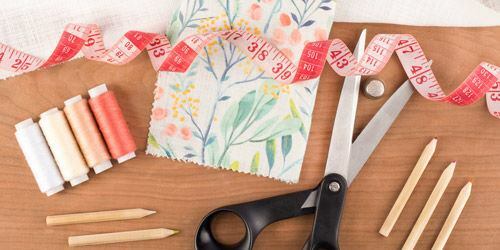 The qualities found in Flora means that it is ideal to use for everything from dressmaking and lingerie to homeware and lace curtains. Use your new lace as trimmings on clothing and furnishings, to bring additional character and style to your look and home. Great- looked exactly the way I wanted! I was surprised how the images on my fabric looked exactly the same as what I put together on the website. Better even! The product was delivered quickly. I was so happy with the whole process! 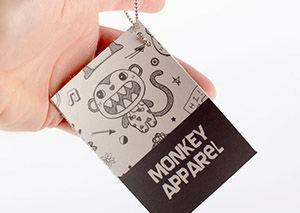 Great Experience Easy to upload custom artwork, great selection of fabrics, and quick turnaround time. Why is this called Flora Lace? We call this lace "Flora" because it has a stunning floral pattern in its construction. With a delicate webbing and more solid flower patterns, this chic and elegant English lace fabric is a real beauty. The floral pattern sets it apart and makes it unique. 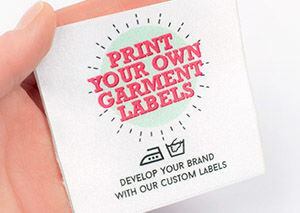 Many customers enjoy using Flora for more feminine projects, such as dress making and wedding dresses. What will my design look like? As lace has an open weave construct, it prints differently from fabrics with a more solid construction. The floral design is the more solid part of the material, and this is the part that shows details best. The best designs to use for lace are ones without too many details. Fine details and lines can get lost, so solid designs and blocks of color work best. The colors will also show through nicely on the reverse. What are some good projects for lace fabric online? You really are spoilt for choice when it comes to using Flora. From its crisp finish to its ethereal pattern, your new lace will work perfectly for a huge range of end uses. If you are looking to make your own lingerie, use Flora to create a flirty side panel. For dresses, why not trim it with custom designed lace, to give it a special finishing touch? We also love using it for making customized lace curtains for the home.